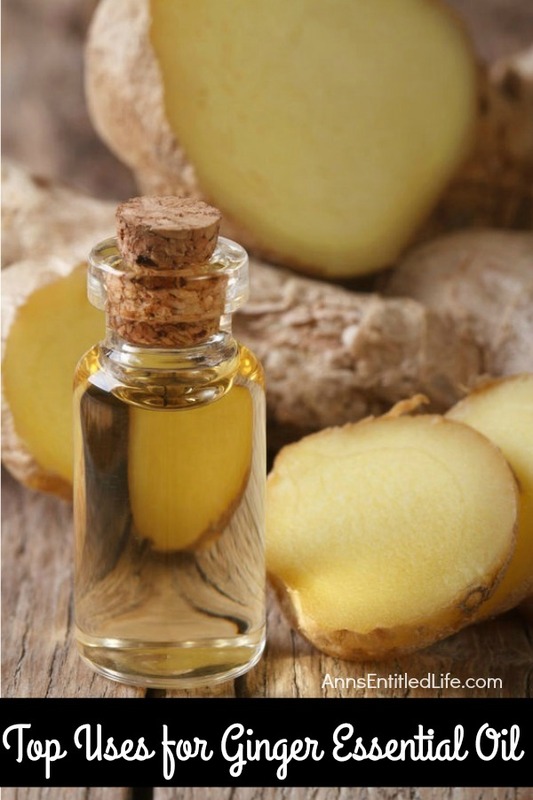 Ginger Essential Oil can be best described as warming and calming. Ginger Essential Oil has a wonderful, spicy scent. Ginger has been used as a medicinal herb for centuries. The top properties of ginger deal with help for motion sickness, digestive, nausea and indigestion. Ginger is a wonderful plant used mainly as a spice. The essential oil is created by steam distillation of the plant root. Its main constituents are alpha – zingiberene. When looking at this list you can see how wide a variety the benefits of ginger are purported to be. Ginger is considered an antispasmodic and that is thought to be why it may help with an upset tummy, as well as helping balance stomache issues out being good for digestion and nausea. The decongestant properties of ginger may also help settle a stomach by helping to clear mucous in the tummy that may be causing upset. You have probably been told before, or know someone who uses it for nausea or indigestion or motion sickness. Many people will use ginger when pregnant for morning sickness. When making blends with ginger, it blends very well with frankincense, cinnamon or grapefruit essential oils. • The most common way to use it for these issues is aromatically. Diffuse Ginger Essential Oil throughout the day if the issue is ongoing, or place two drops in the palm of your hands and rub together, cupping the nose and mouth and inhale deeply. 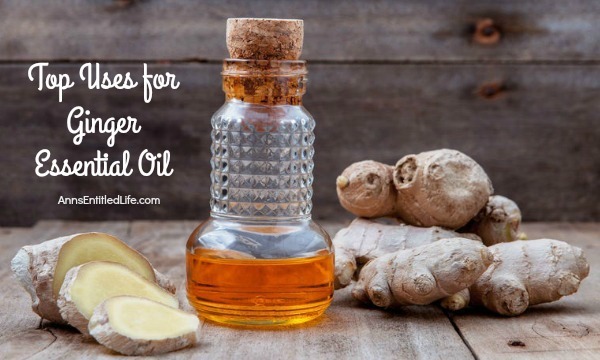 • Rub a drop of Ginger Essential Oil with a carrier oil if skin in sensitive, right over belly, around belly button for nausea in addition to inhaling it. • Take in a glass of water or in capsule form with a glass of water as well to treat these issues. • Apply topically to wrists. • Rub Ginger Essential Oil on your palms and inhale deeply. • Take internally in a glass of water or in a capsule form. • Place a drop on each wrist. • Inhale Ginger Essential Oil aromatically either in diffuser or from palms of the hands or take internally in a capsule form. • Rub a drop on the back of the neck at the base of the skull or on crown of the head for another use. • Take internally in a capsule form to help calm the issue, and add in lemon essential oil if you have it to help even further. • Ginger Essential Oil may also be diluted with a carrier oil and rubbed right over chest for heartburn or tummy if it is upset from reflux. • Adding in orange essential oil is another way to help boost the effects of the oils for this as well. • Dilute Ginger Essential Oil with a carrier oil or an unscented, natural lotion and apply to area of cramp or spasm. Rubbing in well and repeating as needed. • Rub Ginger Essential Oil topically after diluting with carrier oil over intestines and lower tummy area or take internally in a glass of water or a capsule form. This may help ease constipation by helping to cleanse your digestive tract and help balance the digestive process. • Take internally in a capsule form or in a glass of water. • Gargle for throat issue. • Gently rub on chest or area of congestion, diluting with carrier oil. • Apply to bottoms of feet as well. • May help strengthen immune system so can be used for that a few times a week if needed. • Dilute Ginger Essential Oil with carrier oil and apply topically to chest, throat or sinus areas on face to help break down mucous and free up the sinuses. • Add to diffuser and use aromatically as well to help relieve the congestion symptoms. Depending on what type of diffuser you have, you may have to add water to the diffuser first before putting the oils in. 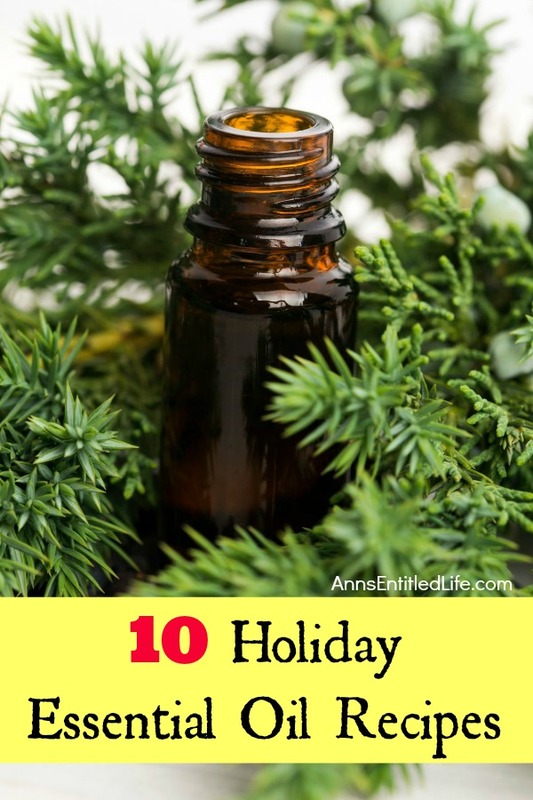 If you have a diffuser that has you attach the oil bottle itself right on to it, then you will have to make this blend in a bottle first and then attach it, so plan accordingly for dosage on that type. • Add ginger essential oil, frankincense essential oil and lime essential oils to diffuser. • This is a wonderful scent that may help relieve your symptoms. What great uses do you have for ginger essential oil!? Bergamot has a wonderful and distinct citrus scent. Bergamot may best be described as uplifting, assuring and a restoring oil. Bergamot blends very well with Ylang Ylang, Lavender, Patchouli, and White Fir. 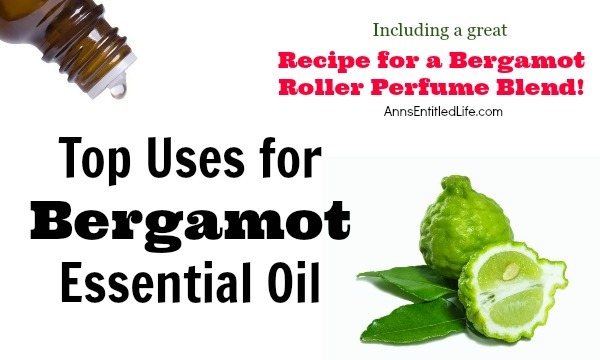 Here are the Here are some of the top uses of Bergamot Essential Oil, along with a wonderful roller perfume blend formula for you to try! Bergamot is a type of citrus tree grown in Italy and used for everything from pesticides to perfumes. This fresh and clean smelling essential oil is great for perfumes, and may people feel it helps with skin care, sore muscle relief and more! Bergamot may best be known for its use in Earl Grey Tea. Its main properties are considered to have a wide range by many people including a neurotonic, anti-inflammatory, antidepressant, antibacterial, antifungal and aiding in digestion. 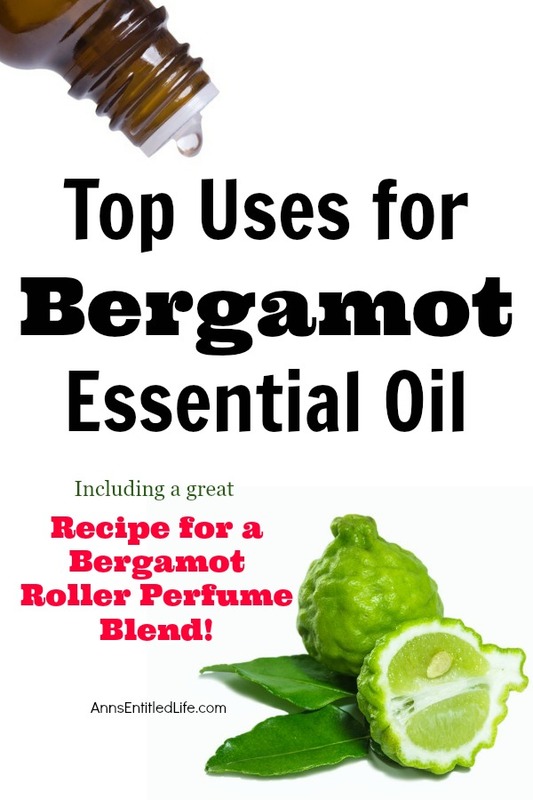 Bergamot essential is a cold pressed oil that comes from the rind of the fruit. Bergamot essentail oil may best be described as being uplifting, assuring and a restoring oil and is well known for blending well with other essential oils, specifically Ylang Ylang essential oil, Lavender essential oil, Patchouli essential oil, and White Fir essential oil. One thing to note about using any citrus essential oils is that they can cause skin sensitivity in some people, so after using one you should not be exposed to direct sunlight for several hours following use. • Help With Sleeping: Try applying Bergamot topically on the pressure points of your wrist, temples, or on bottom of feet – specifically the bottom of the big toe, for better sleep. • Blend with lavender essential oil for a great scent that should work to calm and soothe. • Add a drop or two of Bergamot Essential Oil to a diffuser or put a drop on your pillow for aromatherapy to help you sleep. • Help With Stress: To help calm and ease anxiety and stress, use Bergamot topically on the back of your neck and/or bottoms of feet. • Put a few drops of Bergamot Essential Oil in the palms of hands and rub together, then cup nose and inhale slowly. • Diffuse for aromatic treatment for stressful environment. • Joint Issues and Muscle Cramps: – Apply topically to area of pain or discomfort in a soak. Try this DIY Inflammation Fighting Bath Salts recipe to help ease inflammation and calm the muscles. • Cholesterol Levels: Try Bergamot Capsules can be taken internally for for natural support for healthy cholesterol levels and blood glucose metabolism. • Fungus Issues: According to WebMd some people use Bergamot to treat a fungal infection (mycosis fungoides). • Help With Skin Problems: Acne, Oily Skin, Eczema, Psoriasis – Apply topically to affected area, if you prefer it to be diluted, for any of these issues, use coconut oil to dilute. • Bergamot has wonderful properties that will help skin as well. • You can make a roller remedy for skin issues to keep on hand by putting 20- 25 drops of Bergamot Essential Oil in a 10 ml roller bottle, topping off with fractionated coconut oil. Then, just roll on and apply as needed. • For Eczema or psoriasis, add in Melaleuca Essential Oil to help relive and Lavender Essential Oil to help calm the skin if desired. This is a great blend to wear as your daily perfume. It has a light and sunny scent, and it will help you to feel happy and light. 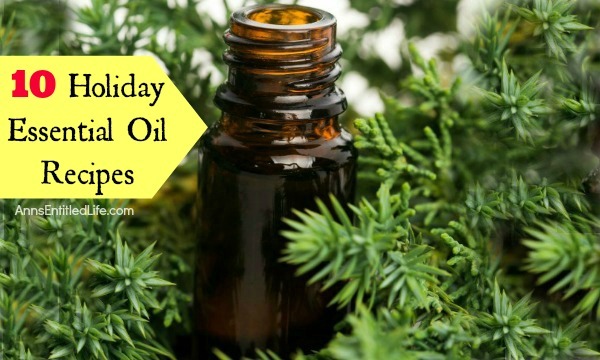 • Place 10 – 12 drops of both Frankincense Essential Oil and Lime Essential Oil into roller bottle, using a pipette, – or being very careful to drop them out slowly, as both are runny oils. • Next, top off the oils with fractionated coconut oil. Leave just a little room at top for roller ball to be inserted without causing it to overflow and press down until it clicks and there is no gap in between the ball and the glass part of the bottle. • Test out the roller to make sure it rolls easily (sometimes they can get stuck, even after you put oils in them). • Put on your lid. • Use daily or as desired. Make a Label: Name the perfume, and write the amount of drops next to the oils (i.e. – Bergamot 15, White Fir 13..etc.) so that if you feel like it needed a little more of something or a little less, you can adjust that the next time easily. Cover the label with a piece of scotch tape to keep it from getting damaged with moisture. • You may also like this easy to make DIY Inflammation Fighting Bath Salts recipe!